This is a sponsored post written by me on behalf of Rubbermaid BRILLIANCE. All opinions are 100% mine. When I cook, I always make extra for leftovers or to share with my family and friends. Because I do batch cooking for my recipe posts, I end up with a ton of food. It’s pretty normal for me to text a friend or family member and say, “Hey, come on by, I have food for you!”. The next dilemma is what to store the food in. My #1 choice for food storage is Rubbermaid BRILLIANCE . Once you try their awesome containers, you’ll see exactly why I love them so much. If you are transporting food anywhere, these are the containers you’ll want to use. With holiday parties and potlucks coming up, you’re going to want to have something reliable to transport your recipes in. In the past, I’ve had containers leak in the backseat of my car leaving a huge smelly mess. Let’s not go there this year! Rubbermaid BRILLIANCE containers are absolutely 100% leak proof guaranteed and also spill proof. I’ve put them to the test. I’ve turned them upside with food inside and not one drop leaked out. I even dropped the container and everything stayed perfectly intact. Hopefully, you don’t drop your containers when you are transporting them, but it’s good to know that they work if a mishap should happen. At first glance, the containers look to be made of glass. They are crystal clear and have a beautifully sleek design. However, they are not glass. They are made of BPA free plastic! Actually, they are much lighter to pick up than glass, too. Glass would also shatter if you dropped it while these containers won’t. If you work outside the home, they are a great option for transporting your lunch. You can reheat the container in the microwave and you won’t have to worry about it splattering all over the place. I hate cleaning the microwave so this is one of my favourite features. 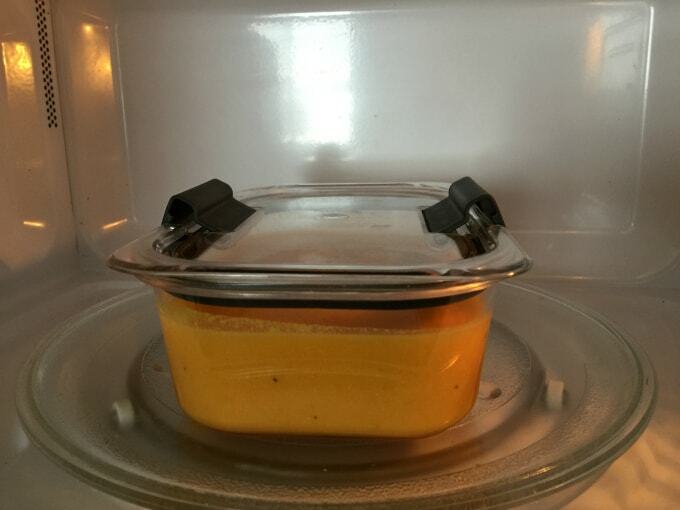 To reheat in the microwave, simply unclip the lid latches and then cook. The steam will escape from the two small holes in the latches. Easy peasy. If you do any freezer cooking, you can use Rubbermaid BRILLIANCE containers to store your food. I don’t have a deep freezer, but I do often make homemade ice cream. The 1.1L size is perfect for me to use. To clean, you can wash by hand or be like me and put them in the dishwasher! Yes, they are dishwasher safe, too! 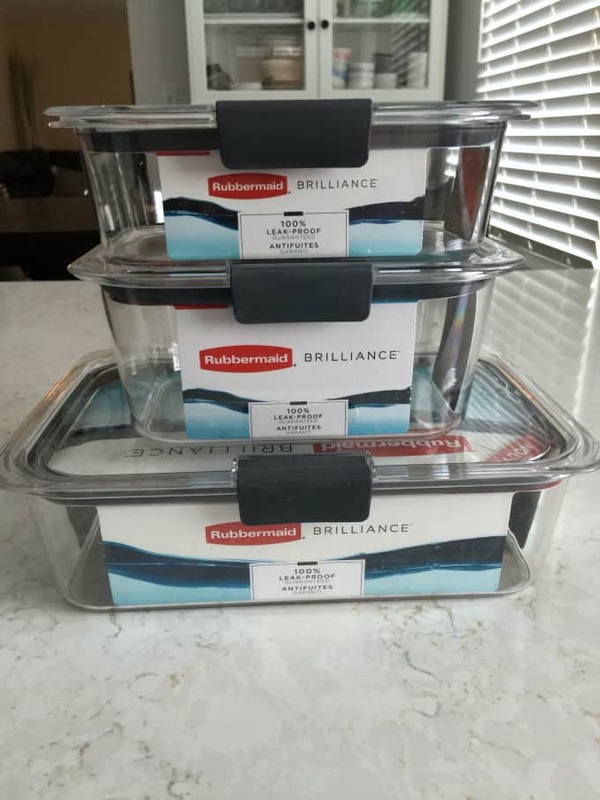 Look for Rubbermaid BRILLIANCE food storage containers at your local Walmart, Loblaws Superstore, Bed Bath & Beyond, SaveOn/Overwaitea and London Drugs. Also, check out Rubbermaid on their Facebook and Instagram pages! What would you store in your Rubbermaid BRILLIANCE? That is so great! I’ve always hated using traditional plastic storage containers. They never seal well, and they are so flimsy! I have to get a set of these. 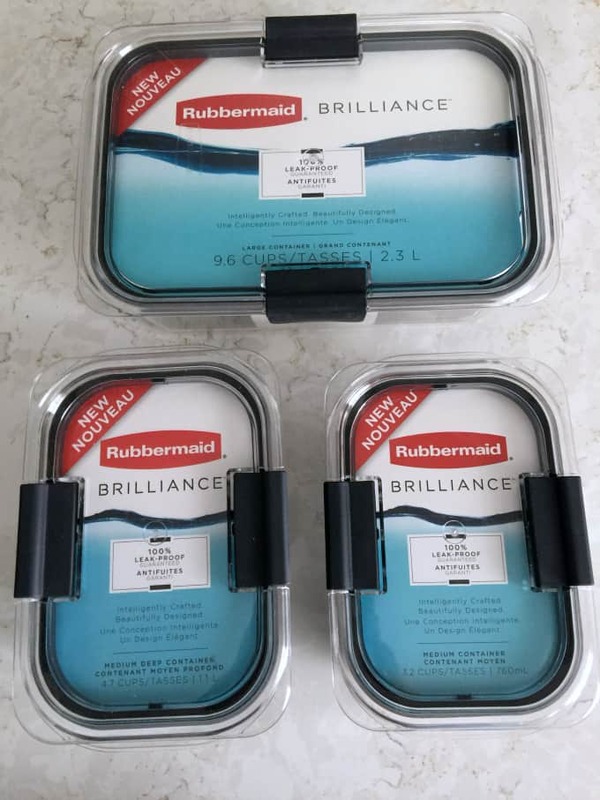 Where has Rubbermaid Briliance been all my life? I totally need to stock up on these. They’re literally perfect!!! I’ve always loved Rubbermaid. Their Brilliance line is new to me and I love the look. You just can’t go wrong with rubbermaid. I love Rubbermaid products. These containers are fabulous! Who doesn’t need storage like this during the holidays? I am always looking for a good way to contain stinky foods like diced onions! Rubbermaid containers are always nice but the Brilliance line looks like a total level up. I need to get these before the holiday craziness kicks in. I need to stock up on Rubbermaid BRILLIANCE containers. I like how easy it is to see what is inside them. It will be perfect for holiday leftovers. I need to pick these up! They’re perfect for holding all of our leftovers! I love love love Rubbermaid Brilliance. 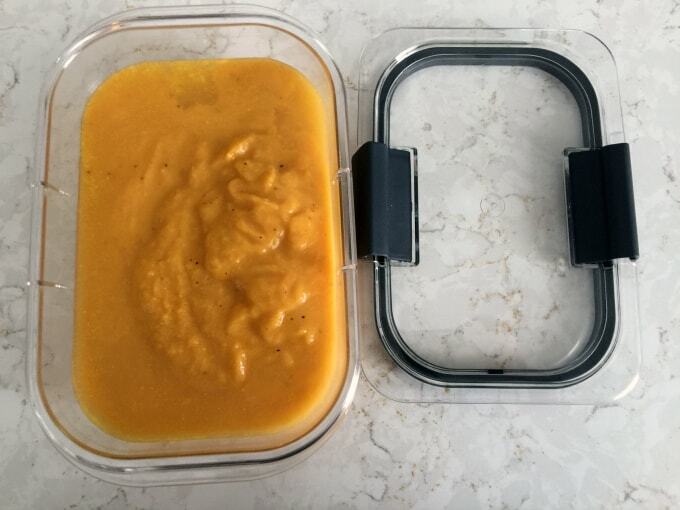 I use it all the time and it’s the best food storage system I have ever used. We have these containers too. I love them so much and cam vouch that after 4 months they are still new looking. I love these containers. I have a set myself, and use them often. They’re so nice for packing lunches. These are really cool containers. I love how they seal. I love Rubbermaid products! Would love to get one of this Rubbermaid Brilliance! I love Rubbermaid, they are so helpful to have around the kitchen. I haven’t tried this line yet though! These containers look great. I have a few different containers but none that are quite like the Brilliance line. I am totally going to have to get some now. These Rubbermaid containers look like they would be very helpful in the kitchen. I like how they seal.